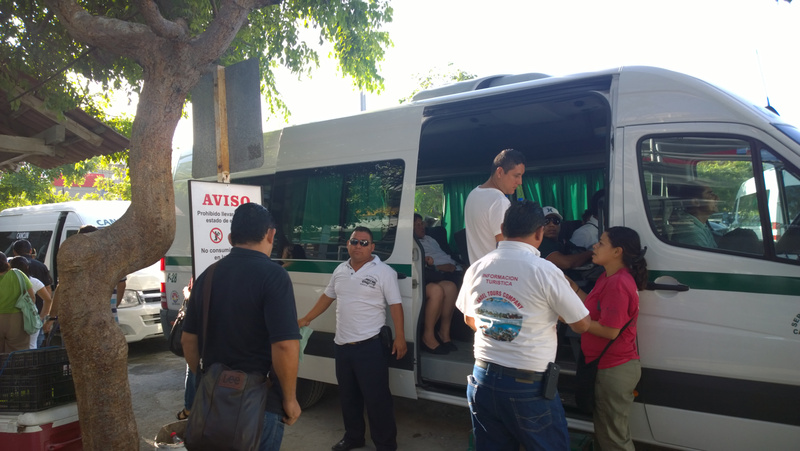 In the following you will find information regarding the city buses and the far distance buses in Cancun, the Airport and the Hotel Zone. 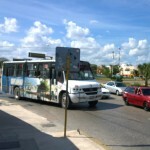 Cancun has huge network of buses and mini vans which connect the city with the “Hotel Zone” and the airport. Most of the buses run 24 hours a day, but less frequently late at night. The city buses are more or less modern. Some even feature a TV. The big buses can usually only be entered at the designated bus-stops. The fare has to be payed with the driver. Most of the time you will receive a little ticket, but not always. If you get keep it. 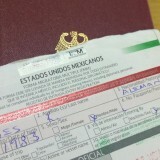 Payment has to be made in Mexican Pesos (not in USD or EUR). It is better to pay the exact amount. If the change is less then a Peso (i.e. Centavos) you might not get any. many drivers do not speak much English, so keep it simple to not cause any misunderstanding. Most of the time you will be helped very friendly. It might be hard to hear the driver in the back of the bus so it is advised to sit or stand in the front if possible. It is always worth to look for landmarks in case the driver misunderstood you or just has forgotten to tell you. Because he has usually a bus with a lot of people and a lot requests. So better take care yourself also. The bus might take off quickly after stopping. If you are standing hold on tight or sit down quickly and if you have kids better keep them close. Besides that the ride is usually smooth. The Buses No. 1 and 2 transporting between the Hotel Zone and Down-Town. Both bus lines have stops close to almost all hotels. Independent of the distance the fare is 10.5 Pesos per ride. Some buses have a guy who is asking if you want to ride. 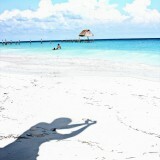 It is quite easy to discover all the beautiful beaches in the Hotel Zone of Cancun with this 2 buses. Most of the time the next bus-stop is quite close to a beach or a shopping center. The main nightlife area can also be reached with the buses. it can be quite crowded. 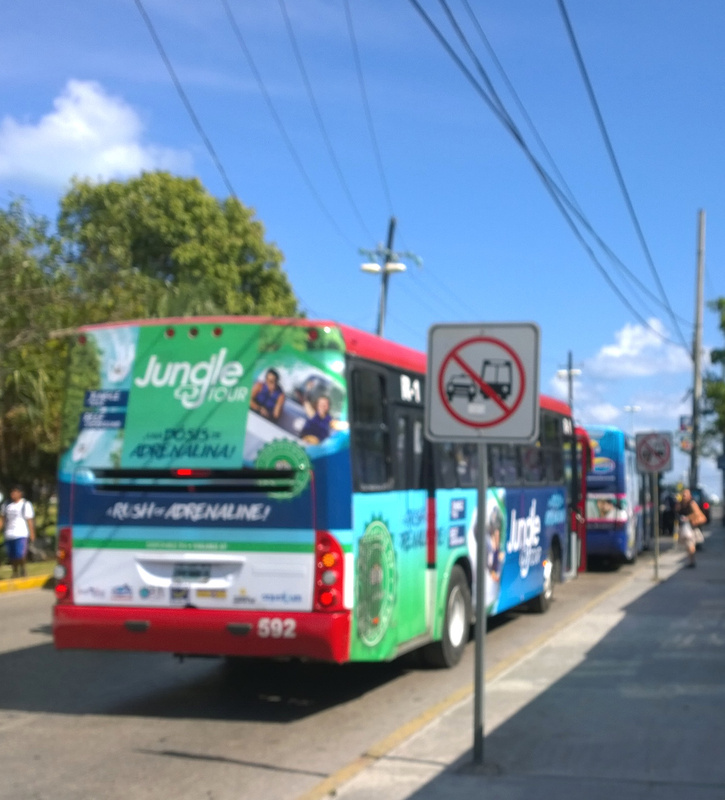 The Buses from the Hotel-Zone to the City stop at the Side of the road where the Caribbean sea is (not the lagoon). R-1 This bus stops on the Main Bus Station (downtown station), Market 23, Kiu-Huic market and close to the La Habichuela. 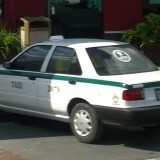 The bus to the city has Tulum or Juarez written in the front window next to the number 1. 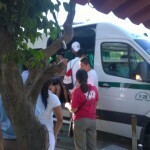 The bus back to the Hotel Zone has written “Zona Hotelera” next to the number. R-2 For traveling downtown to Mercado 28 (Market 28), Sam’s Club, Walmart or Kabah. The Buses from the Hotel-Zone to the City have either Walmart or Kabah written in front, next to the bus number. Like the bus number 1, for going back to the Hotel Zone, look for the written “Zona Hotelera” next to the number. R-15 Also goes to Walmart and Mercado 28. 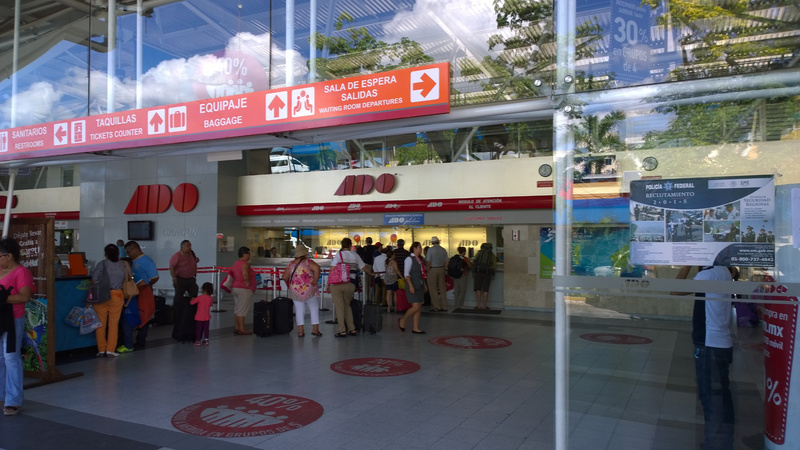 R 27 starts/stops at Avenida Tulum in walking distance to Plaza Las Americas. This bus usually runs every 20 minutes but only during the day. Besides these Buses there a also several others which connect different parts of the city. Besides of the normal Buses little Mini Vans transport people in the City area to almost all places. 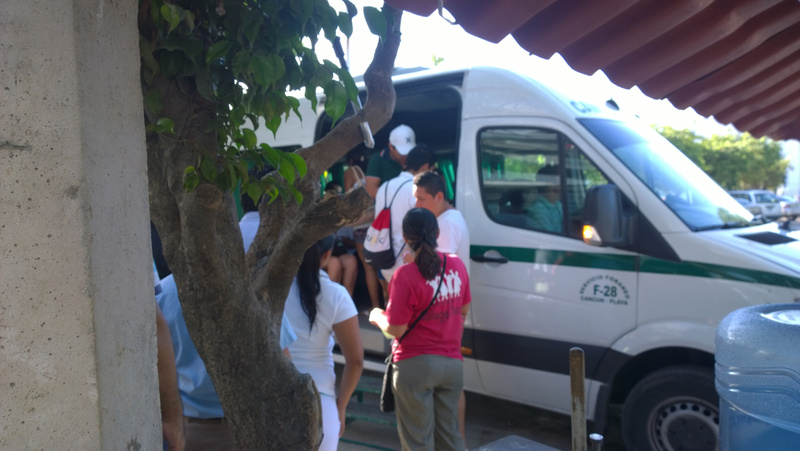 Most of them are operated by the state (“transporte terrestre estatal”) and a ride cost only a few pesos. 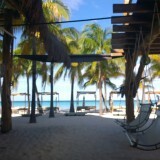 From Khaba, Plaza dos Mile/Tiendas de Cancun or Puerto Juarez little buses go also up all the way to Punta Sam where hotels and a car ferry to Isla Mujeres are located. 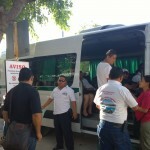 From the airport buses from the ADO go to the Main Station of Cancun, the Hotel Zone and to other cities like Playa del Carmen. 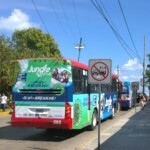 little buses called “Collectivo” and far distance buses with the most prominent line called ADO. with an Collectivo. The Collectivos not only stop on the stations. If you ask or simply say “alto” or “stop” the driver might drop you of some place in between. If the bus is not full it also stops if you signal with your hand at the road, if it is not in the city. 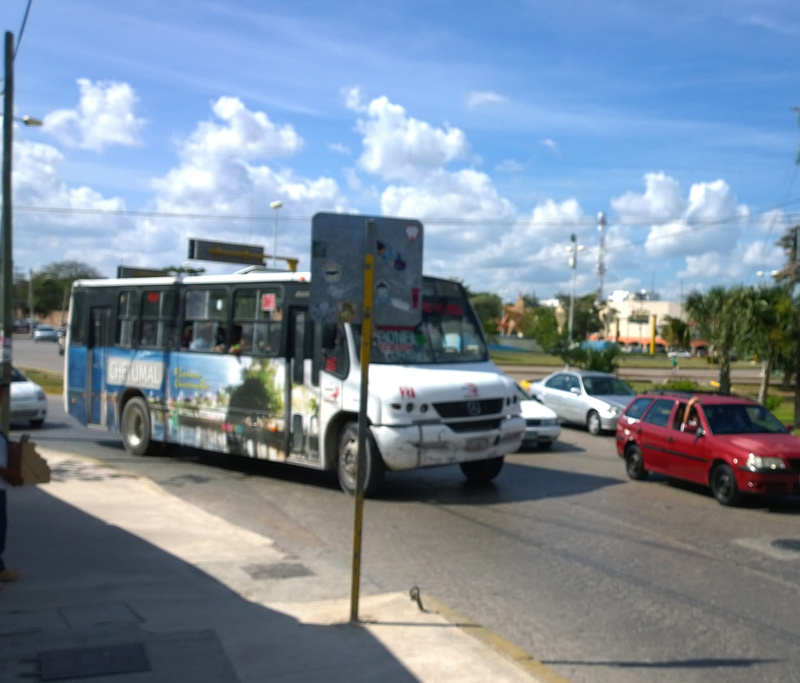 The Main Station is located close to the center of Cancun at the traffic circle (Spanish “glorieta”) where Avenida Uxmal and Avenida Tulum meet. It can be reached directly from the Hotel Zone with the bus number 1. 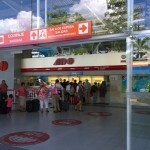 The ADO-Bus from the airport starts and stops here also. 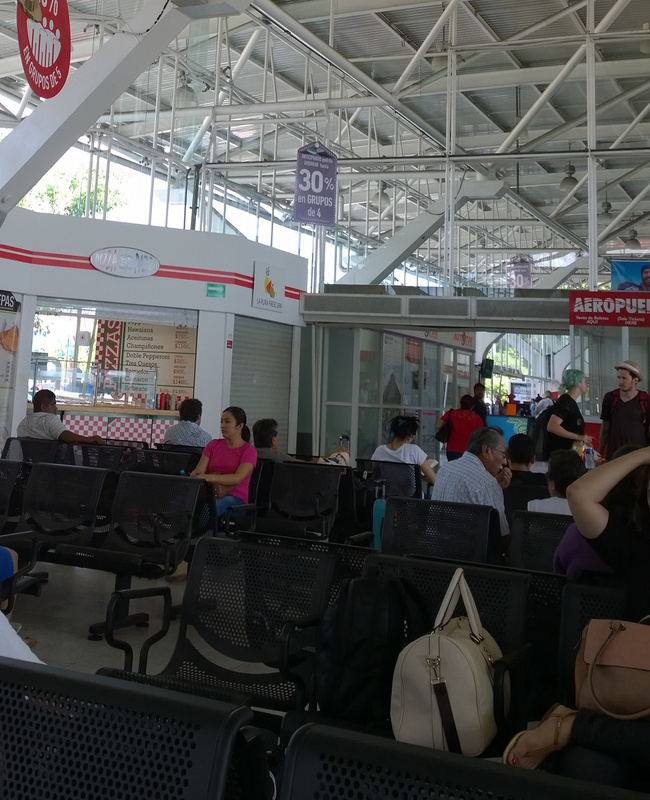 The Bathrooms are around 5 pesos and located on the upper level, the stairs are next to the waiting area. Inside the station you will find ticket windows for several smaller bus companies. The tickets and the schedules for these companies can usually not be found in the Internet and may change often. 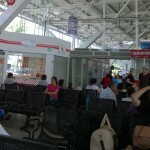 Therefore it is necessary to visit the bus station for booking. 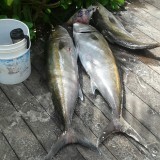 The ADO-line has an extensive on-line portal with schedules and booking. Unfortunately it is currently only available in Spanish.